Instrumental four-piece Tides From Nebula are an instrumental 4-piece fail from Poland. Some of you may already know that, especially if you’re reading this in Poland, given that I’m reliably informed that they’re Poland’s most popular post-rock band. But then, how big is post-rock in Poland? Big enough, I guess: it’s something that seems more popular in mainland Europe and beyond than domestically here in the UK, and home-grown post-rock acts like Her Name is Calla seem to have a bigger fanbase beyond the British Isles than at home. It’s not just about catchment or population: the UK seems, in the main, to be depressingly mainstream and conservative in its tastes. Anything remotely alternative is niche, and there’s little to no crossover between mainstream and alternative markets. Elsewhere, music fans seem altogether more accommodating and diverse, and the levels of enthusiasm shown to bands is significantly greater beyond the confines of our island shores too. I daresay that Tides of Nebula have felt the cultural differences during their extensive touring: since their inception, they’ve played over 500 shows globally, and Safehaven is their fourth album. It is, without doubt, a quintessential post-rock album. The guitars chime and build their way, inexorably, to surging, euphoric crescendos that soar and sustain. Yet there’s an understated power evident here: there are some big chords, and the heavy strikes hang in the air with a long afterburn. But then, ‘The Lifter’ marks a change of instrumentation and a change of style, the throbbing synths and more mechanised sound beneath the interweaving guitars presenting a sound more electronically focused, hinting more at Depeche Mode than the well-trodden post-rock conventions. And gradually, the album finds Tides from Nebula incorporate an increasing range of electronic instrumentation, and while as I say, it’ a quintessential post-rock album, it’s also an album that does a whole lot more and does so in a way that’s interesting and holds the attention instead of becoming bogged down in indulgent-wankery. 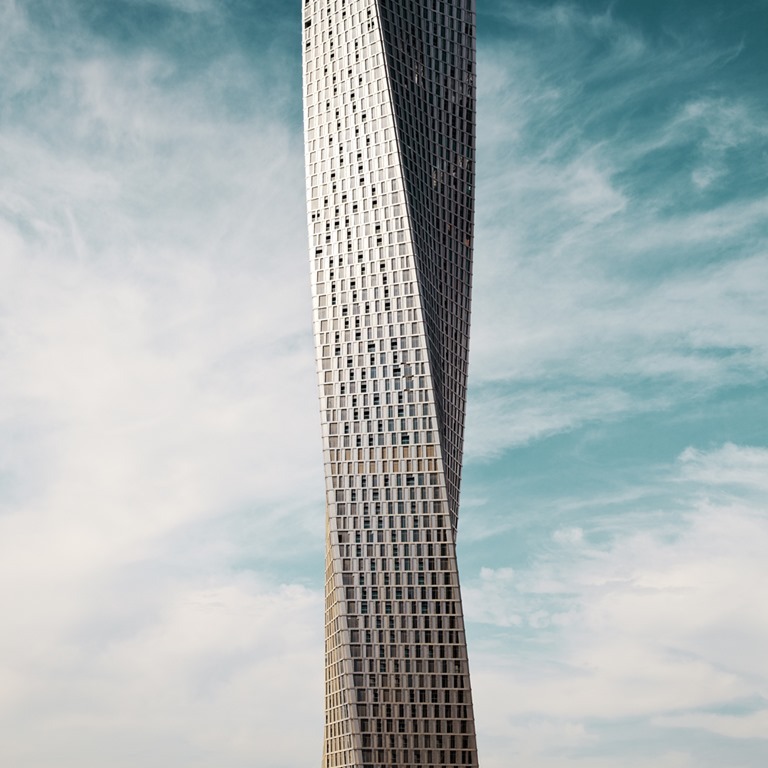 As the album’s cover art – a shot of the Cayan tower in Dubai or a manipuation thereof? – suggests, the album’s architecture is daring, and comes with a big twist. And as Safehaven demonstrates, it’s their ability to move beyond the conventions of straight, guitar-based post-rock – and to do so without it sounding forced or like a desperate push to step out of a well-worn post-rock rut – that really goes in the band’s favour. In fact, while the latest album by Explosions in the Sky sees them trying and failing to achieve precisely the same, Tides of Nebula succeed, striding confidently into expansive new territories. And in that context, it’s reasonable to call Safehaven a triumph.